One of the latest business software today is the Office 2013, if you are running the old Office version you are now worrying if it’s possible to do and upgrade with your current system setup. As expected most Microsoft products are design with proper compatibility handling, an example of that is the previous MS 97, 200, 2003 Office. So if you're running with version 2007 you started thinking before if the created docs or file on MS Office 2007 compatible with older Office users. Microsoft solved your worries on that as they give an option to save you file on older versions by giving a drop down option before saving it to the current file format. Story goes the same with Office 2013, you can almost do the with older file version. What's new with this Office are some added features, UI improvements and other cool features that Microsoft added. To give you an idea on hardware and software compatibility, Microsoft put up the details open to all users as a reference. Browser - Microsoft Internet Explorer 8, 9, or 10; Mozilla Firefox 10.x or a later version; Apple Safari 5; or Google Chrome 17.x. Multi-touch - A touch-enabled device is required to use any multi-touch functionality. However, all features and functionality are always available by using a keyboard, mouse, or other standard or accessible input device. Note that new touch features are optimized for use with Windows 8. 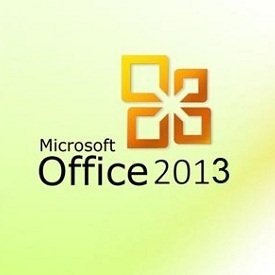 Requirements above say that Microsoft Office 2013, will run only on Windows 7 and 8. Windows XP and Vista users will have to upgrade to run Office 2013 applications. For Office 2013 pricing you can consult your local tech suppliers about the exact retail price or you can also ask more details for business licensing and upgrade rates.